Kick for GOALS (Greater Opportunities for All to Learn and Share). Focuses on Social, Sports and Educational Activities for the Youth. The organization supports disadvantaged young people through school; and the Street Youth Initiative, a program for ‘street kids’ to play football and access key support services. Kick for GOALS mission is to provide opportunities for children and young people to transform their lives through innovative development through football programs. 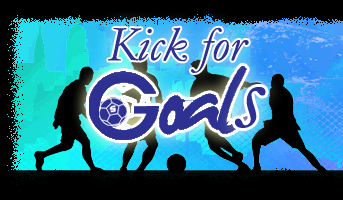 Kick for GOALS aims to have a positive impact of its work in the rising school grades of its participants and the success of several of its participants in gaining scholarships to highly rated schools.